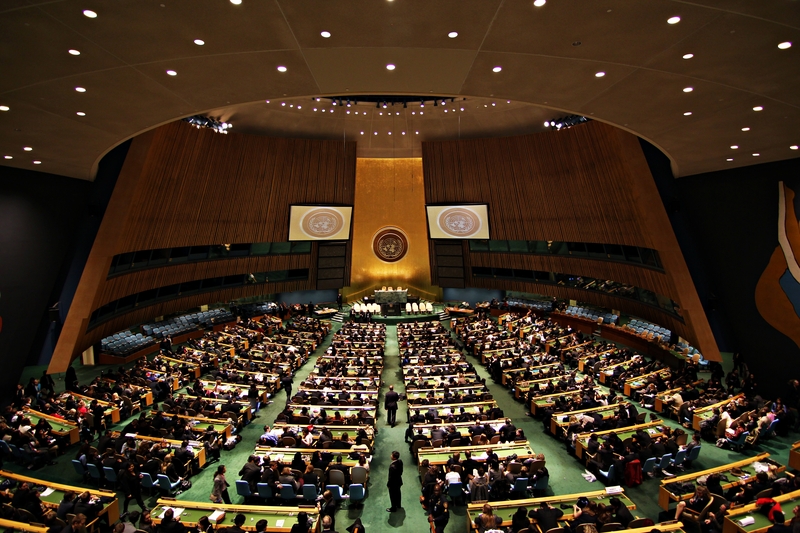 ON November 3, 2015_The United Nations will host a historical special event called “Confronting the Silence: Perspectives and Dialogue on Structural Racism against People of African Descent Worldwide. 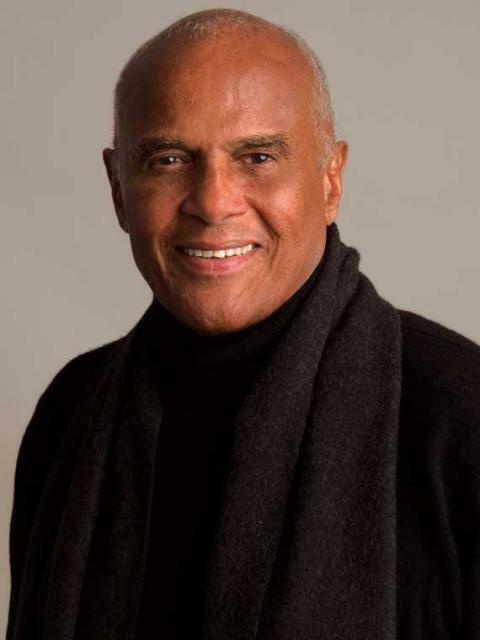 ” Present including the Keynote Speaker Harry Belafonte amongst the list of invited special guest by organizers will be the family of Andrew Joseph. While the case of Joseph at this point is not widely known in American Circles the case definitely should be and will be highlighted as one of the most infamous cases of Police brutality that exist. The Joseph’s moved from New Orleans to Riverview in 2006, “hoping for a better life” after Hurricane Katrina. They are healthcare professionals and both of their children, Andrew and their 10-year-old daughter, were star students, they said. Andrew was an honor student at St. Stephen Catholic School in Riverview and a player on the Brandon Ravens youth football team, his parents said. Andrew had just been accepted to Tampa Catholic High School. 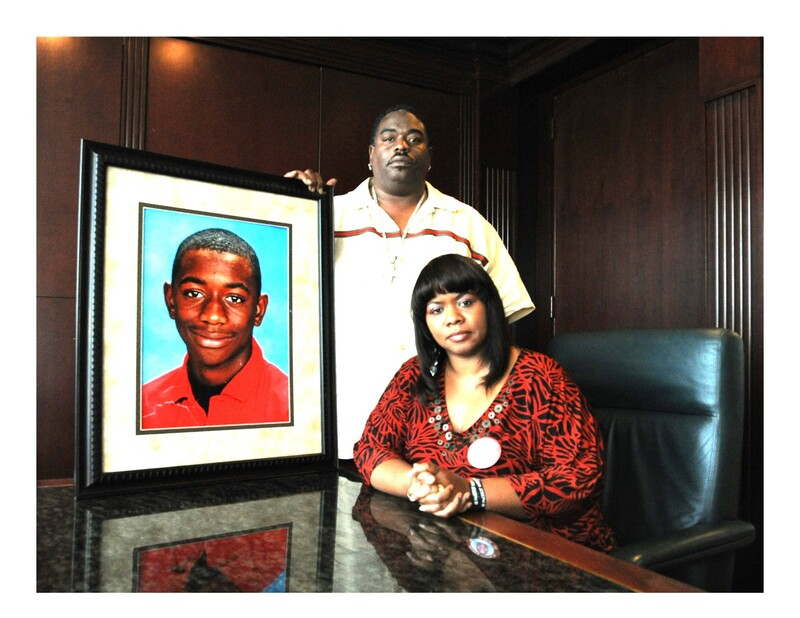 His whole name was Andrew Joseph, III he was killed at 14 years old in Tampa, FL on Feb 7, 2014. Andrew attended a Hillsborough County School Districts event named “Student Day” at the Florida State Fairgrounds the Hillsborough County. That day chaos at the fair came during an apparent underground tradition called “wilding,” which deputies at the time said usually occurs on Student Day, when Hillsborough County students are admitted to the event for free. Law enforcement officials said most of the young people who typically participate in the melee are black and that the behavior has ties in gang membership. In Andrews case sheriff deputies detained (arrested) him, stripped him, photographed him and loaded him into a sheriff patty wagon, transported him, then abandoned him to a dark road, Later that night, Joseph got a call from the neighbor saying the fair had been shut down and that she couldn’t find Andrew. Tragically the family would learn that the child was abandoned by the police to a dark road facing the I-4 interstate, where he(Andrew) was killed after being stuck by an oncoming SUV. This section of Interstate-four known to locals as the “Dead Zone.” This short span of asphalt, in Seminole county, at the south end of the interstate bridge across the St. Johns River, has become known for its high number of traffic accidents. Depending on sources, there have been an estimated 1,048 to 1,740 car crashes at this location since the highway was opened in 1963 with a significant number involving fatalities. According to reports in 1995, there were 44 accidents which injured 65 motorists. Sadly, Andrew Joseph, III a student and resident of Hillsborough County was offered no protection, no safety and no security and the ultimate fault lies on the two sheriff deputies who released Andrew, a move that was no way near what their protocols dictate. Still no actions or reprimands for the deputies who put hands on this child have been reported in the death of child in the custodial care of the sheriff department. In Hillsborough County there has not been a whisper. According to a recent interview from the Tampa Bay Times- Sheriff’s office spokesman Larry McKinnon said the sheriff’s office doesn’t comment on pending lawsuits.“We’ll take all the facts of their lawsuit and review them and then deal with them appropriately in the courts,” McKinnon said. Chuck Pesano, executive director of the Florida State Fair Authority, also said he could not comment on pending litigation. “This was a really good kid,” said Barry Cohen, the family’s attorney. 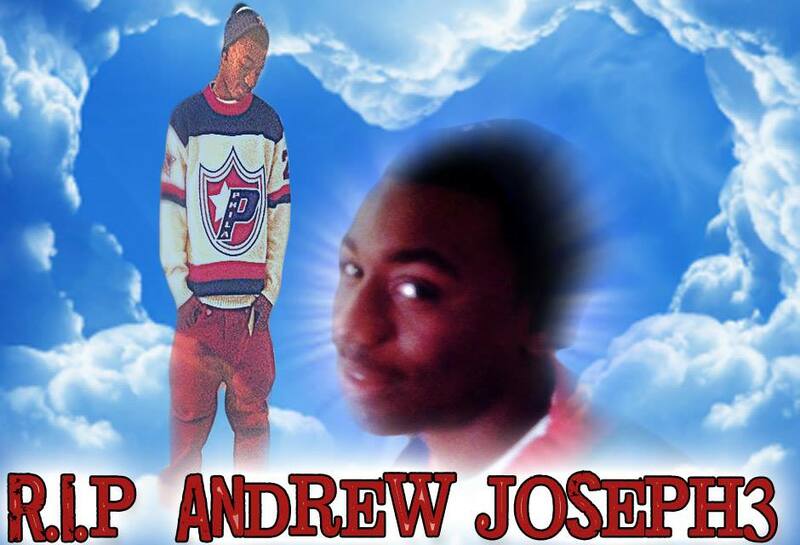 “This wasn’t some thug.” After Andrew was killed, authorities and the media painted him to look like a gang member who was committing violence at the fair, Joseph said. He said people assumed Andrew was a “throwaway kid” with irresponsible parents who didn’t care. On the occasion of the United Nations International Decade for People of African Descent, the Office of the High Commissioner for Human Rights invites, with the co-sponsorship of the Unitarian Universalist Association, the United Nations Department of Public Information, UNESCO, the Organisation de la Francophonie (tbc), A Black Lives Matters Initiative, and Amnesty International USA, to host a special event on Confronting the Silence: Perspectives and Dialogue on Structural Racism against People of African Descent Worldwide Tuesday, 3 November 2015 UN Secretariat Conference Building, United Nations Headquarters, NYC-ECOSOC Chamber 1.30 p.m. – 4.30 p.m. 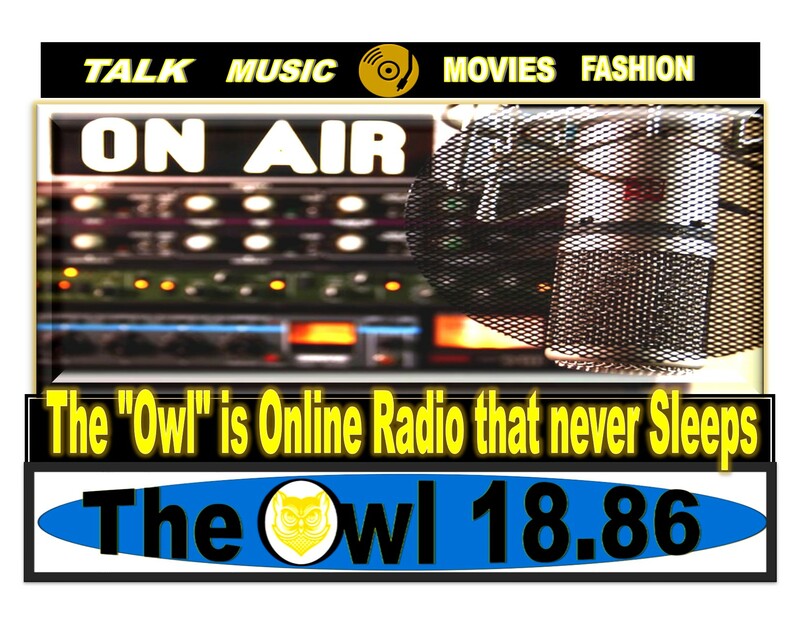 This entry was posted in Civil Rights, Gregg Greer, Gregg L Greer, Human Rights, Leadership, oneworld01, Police Kill, SCLC, Uncategorized, Violence and tagged Andrew Joseph, Andrew Joseph Foundation, Civil rights movement, Gregg L Greer, Human Rights, oneworld, oneworld01. Who’s burning Black Churches-What a Cowardly Act! 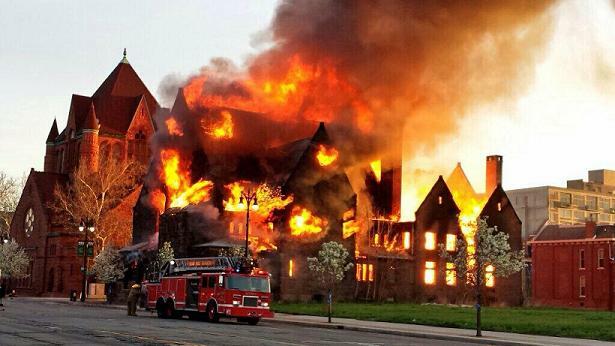 Most people are questioning why, black churches are burning? 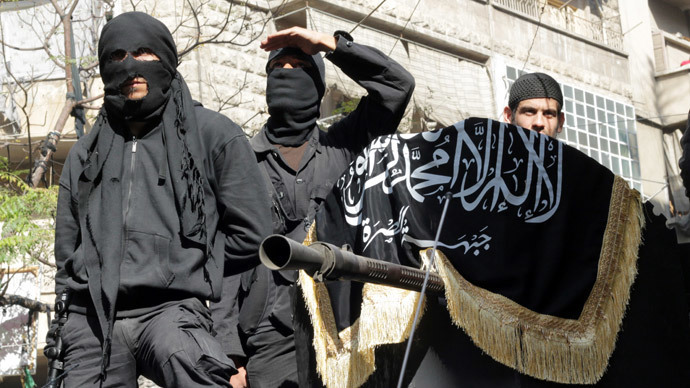 As The Atlantic pointed out in a recent article on the subject, there’s a long history of terrorism against black churches in America, one that begins in the era of slavery and continues up through Reconstruction, the civil-rights era, and into the 1990s. There has been a recent flurry of black churches burning since October 8 (In the last 20 days) all within a few miles of each other around St. Louis. 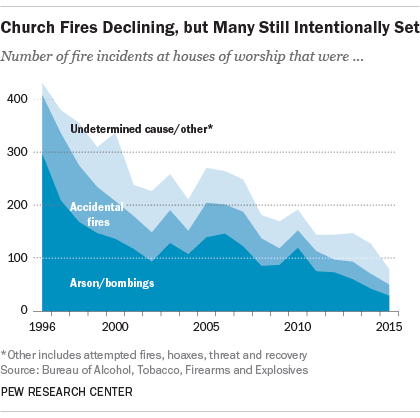 Five fires have been at predominantly black churches, while the sixth was at a mixed denomination church. Unlike the last wave of black church fires this summer in which weather played a role in some of the fires, these all appear to be the work of arsonists. Each fire has been set at the door, and while most have done minimal damage—one pastor called them “amateur hour” arsons—one nearly destroyed a building. The lack of media coverage about these fires is highly-noticeable, given the media’s hyper-intensive coverage of rioters in Baltimore setting fire to a CVS earlier this year. Federal investigators have said they have so far found no links among the fires at the predominantly black churches across the South, and currently none have been labeled hate crimes. Action against black churches is prevalent throughout the south, and in northern states minor reports have come to light but it exists. Regardless of the investigation’s outcome, racism and KKK activity remain a fact of life in the United States. The last known stream of about 670 arsons, bombings or attempted bombings at mostly African-American churches was in the 1990s. This entry was posted in Civil Rights, Gregg L Greer, Uncategorized, Urban Christian Leadership and tagged church fires, Civil Rights, cnn, community, Gregg L Greer. 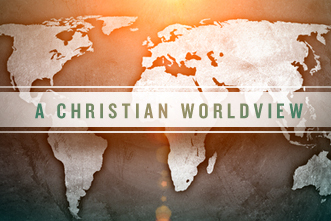 The article is the first of a four part series that addresses the need for all people of faith to acquire a Christian or faith based Worldview, and then find our place in the New World Order, as the Need for Urban Christian leadership confronts us like never before. So may things came to mind when, I first thought of writing this group of articles. Currently, I’m preparing for the United Nations event on November, 3, 2015 called Perspectives and Dialogue on Structural Racism against People of African Descent Worldwide, an event which I along with the United Nations Team first organized to support Tamir Rice a young 12-year-old who was shot by Police in an unfortunate and tragic incident out of Cleveland, Ohio. I also want to make note of my seminary work at McCormick Theological Seminary in Chicago. IL-where I’m seeking a Master of Divinity or (MDIV). 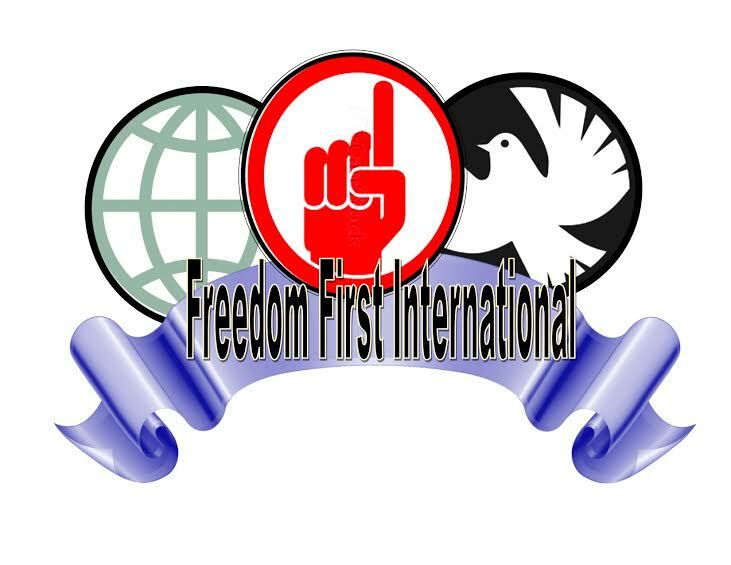 In addition to my human rights work as the President of Freedom First International. In all of these events my though is how do I international arena. While organizing a Tamir Rice Press Conference in Cleveland this past week- I met a Young Naval Intelligence Officer, and I discussed my work with high-profile American Civil Rights cases, like the George Stinney Jr. case, Tamir Rice, and the fight against Stand your Ground in Florida and others. According to the Naval intelligence Officer, the story about the extremist ended with this life changing awareness as he now go’s around the world and lectures, about tolerance and acceptance toward for all. My exchange with the Naval Intelligence Officer brought me to present another question, “do you believe-our fight against Radical Jihadi Extremism, with political means has been successful, The response was a quick “no” he then went on to say, during his whole time, while deployed and doing intelligence work overseas he only came about one incident, which an extremist was converted, he(officer) then said-one reason we struggle with growing, Extremist-“is because, “they don’t trust politicians”-“we need faith leadership to combat, faith extremism.” In many ways-I felt he was spot on! I further began to reflect on the depth of the statement, due to fact that this was a common belief which I had always shared-The main point is Faith Leadership is needed to assist in world change. QUESTION: Name one international event that most effected the civil rights movement? April 4, 1967 called Beyond Vietnam” in front of 3,000 people at Riverside Church in New York City. Historical facts will show that Reverend Martin Luther King Jr’s Civil Rights career began by leading a little known boycott on the Alabama transit system when Rosa Parks was convicted after not giving up her seat to a white person. He (King) eventually became leader of the Black Protest Movement. 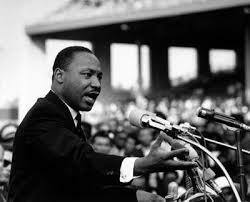 King made his famous speech asking for equality in 1963 and urged peaceful protests. He was assassinated a year later-many believe was largely due to stance against the “War in Vietnam.” Dr.King’s historical speech ” on April 4, 1967 called Beyond Vietnam” in front of 3,000 people at Riverside Church in New York City. In it, he says that there is a common link forming between the civil rights and peace movements. King proposed that the United States stop all bombing of North and South Vietnam; declare a unilateral truce in the hope that it would lead to peace talks; set a date for withdrawal of all troops from Vietnam; and give the National Liberation Front a role in negotiations. Despite Kings cry for peaceful protests, violent protests broke out in the late 60’s in black ghetto’s which caused many deaths, injuries, and millions of dollars of property damage. The ultimate transition was when Dr. King began to internationalize the black struggle, by speaking out against a war that we now know was unjust and without known purpose but unfortunately behind that clarity-Dr.King lost his life. For civil rights activists and humanitarians for years around the world, we have struggled against bigotry, racism, fears, tradition, history, and stagnation to change the world. Civil Rights Movements Around the World American Civil Rights Movement even after the ban of slavery in America,many blacks felt the impact of segregation against them right up to the 60’s, still to this day- many blacks still describe a seemingly an indirect form of racism- as the struggles which economically compared to others are inadequate. 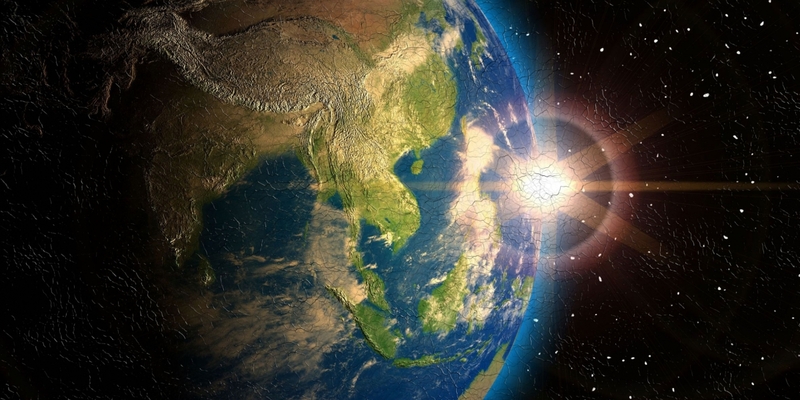 The question of reaching out and connecting with those of the black race worldwide to form a common bond, has been a point of conversation for many years, but has never truly materialized. From a faith perspective, and with leadership in place this vision, this may one day materialize. Question: How can faith leadership play a role and where do we go from here? As an American Minister, In today’s modern age understood-The growing need for Urban Christian Leadership has emerged out of the reality of the poor, and the downtrodden, in American society and in communities across the world. The poor live in their sad existence seven days each week and 24 hours a day-change must come! If we would just imagine for a second the correlation between poverty and lack of leadership in urban communities across the country-Then all people could more or less address the core issues more efficiently and perhaps we could say if we had “more” of solid leadership to represent us, then our state of wellness might change possibly overnight. We must stand in the line of great “faith” leadership around the world who were determined to “Be the Change you wish to see in the world.” a quote from Mahatmas Gandhi. While political and military leaders come and go, religious figures seem to endure throughout the ages, which is why millions of people still venerate their accomplishments hundreds or even thousands of years after they’ve died. Let’s use one last example-Jesus Christ! What is especially remarkable about this- is that Jesus Christ’s public ministry lasted little more than two years, throughout this period Christ never had more than a few thousand followers during his lifetime, but today with more than a billion followers world-wide, Christianity remains the largest single religion on the Earth. However, it is beyond serious debate the impact this itinerant rabbi from Galilee has had on the planet. Christ left no personal writings, and was even executed for sedition by the Roman authorities, all of which should have made him little more than a footnote in history. In the end just as Jesus Christ stood in indifference to the Roman Empire-so must we by pointing the way forward to a citizenship that transcends the best political experiences of the world and offers citizenship that will last for eternity. I leave you with this creed. Called the Freedom First International Trilateral Covenant (below) which addresses a precedent for church, and state to cooperate for world change. In summary-Around the world if all people of faith follow the teachings of great faith leadership, then instantly the results of positive world change would come. That is exactly why, We must engage from an International and Faith Perspective. Have People of Faith failed?? 1. All people of the Earth have the right to seek God Given self-actualization. They must be given the Freedom and protection to openly express and secure the right to determine their political worldview and freely pursue their economic, spiritual and cultural development, specially when their belief is based on a foundation of acquired long-term peace. 2. The State Parties have protection of the provisions based on the International Charter of the United Nations-note that all parties who present this Covenant, including those having responsibility for the administration of Non-Self-Governing and Trust Territories, shall promote the realization of the right of self-determination, and shall respect that right. 3. All people may, for their own ends, freely secure the benefit of natural :”god given” resources without prejudice to any obligations arising from international economic co-operation, not based upon the principle of mutual benefit, and international law, but based on the world moral compass when presented facts of absolute truth, not relativistic policy. This entry was posted in Uncategorized and tagged Civil rights movement, faith leadership, Gregg L Greer, jihadi, oneworld01. Guest-Include Mr. Zeid Ra’ad Al Hussein, United Nations High Commissioner for Human Rights. Panelists International perspective: Mr. Mutuma Ruteere, Special Rapporteur on Racism, Racial Discrimination. Xenophobia and Related Intolerance Ms. Mireille Fanon -Mendes France, Chairperson of the Working Group of Experts on People of African Descent. Ms. Cheryl Sterling, Ph.D., Director, Black Studies Program, The City College of New York. Gwen Carr Mother of Eric Gardner and many more. and a host of Staff and Coordinators with the United Nations including, Amnesty International USA . This entry was posted in Civil Rights, Gregg L Greer, greggrreer, Human Rights, Leadership, One World, oneworld, oneworld01, Uncategorized and tagged Police Brutality, Tamir Rice, UNited NAtions, United States. 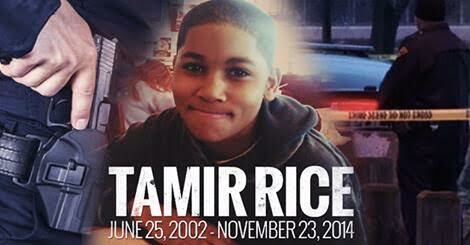 On This Friday October 16, 2015 at 12:00 noon-The Tamir Rice Family including Samaria Rice along with Community Activist will conduct a Press Conference at the Justice Center calling for the local/national community to come together as they seek to educate the community about recent issues with regard to their fight to receive “Justice For Tamir.” Along those attending this special meeting will be many supporters and local/ national civil rights leadership. One important agenda item for discussion is to address community concerns with their viewpoint about the “political nature” of the newly unearthed Cleveland Head Prosecutor-Tim McGinty’s authorized report about deadly police shootings made by the two experts who defended an Ohio officer’s killing of Tamir Rice. For their effort, they (group) also-wants to address the community members growing concerns, as they believe-This report has intensified criticisms of prosecutor for selecting a premature (one-sided) review of the 12-year-old’s death. One “alleged” expert appeared to publicly cast doubt on whether the officer who killed Rice was at fault even before he was commissioned to write a report on the case, The other had her interpretation of a key US supreme court ruling on police shootings rejected by the Justice Department as too generous to officers. “I believe that in order for Cleveland to make sustainable change within its police department, and to improve trust within this community police officers that violate police protocol and procedures must be held accountable for their actions in a court of law. This entry was posted in Uncategorized and tagged Civil and political rights, Cleveland, Police Brutality, Tamir Rice. 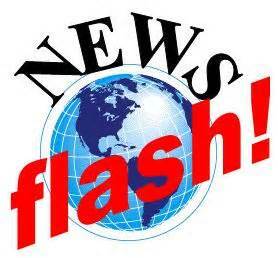 Rebuttal-Experts say Police shooting of Tamir Rice “Justified” Not So! Yesterday, on October 10, 2015 The Cuyahoga County Prosecutor’s Office released a report to national media outlets with suggestions from two experts-Retired Virginia FBI agent Kimberly Crawford and Denver-area District Attorney S. Lamar Sims. 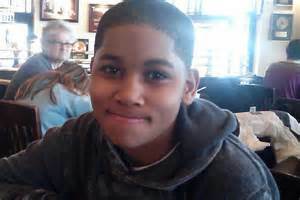 According to the report -both are considered specialist in the use of force by police- who concluded that the fatal shooting of 12-year-old Tamir Rice by a Cleveland officer was “tragic” and “heartbreaking,” but reasonably “justified,” given that the officer believed the boy to be armed.The specialist claimed-there can be no doubt that Rice’s death was tragic and, indeed, when one considers his age, heartbreaking “However, I conclude that Officer Loehmann’s belief that Rice posed a threat of serious physical harm or death was objectively reasonable as was his response to that perceived threat.” ,” Sims wrote in a 52-page analysis. Either or both Retired Virginia FBI agent Kimberly Crawford and Denver-area District Attorney S. Lamar Sims, national experts on police use-of-force issues, each should have also included details as to whether Loehmann or his partner Frank Garmback violated Ohio Laws, made tactical mistakes or broke with department policy in the moments leading up to the shooting. The approach placed Loehmann “in a position of great peril” just feet from a potential gunman and with no cover, Sims wrote. Crawford acknowledged in her report that there were questions as to what, if any, commands Loehmann gave Tamir as the officers approached him. The question that is of utmost importance is- If the officers actions caused the downward progression of events that lead to Tamir’s shooting and ultimately his death-when presented all circumstances-then would it reasonable to conclude that the officers actions in this case were unjustified. Another question that must be asked is whether the officer’s actions with regards to what they do when in uniform is focused on their obligation to their “sworn” mission to improving public safety and the fulfillment of public service. To further, illustrate this point-let’s examine another critical question 1) Police said that Rice then reached into his waistband and pulled out the toy gun, and was then shot and killed by Officer Timothy Loehmann. The video shows that Rice did not pull out the toy gun. In the video, Rice is using both hands to hold his shirt up and expose the pellet gun to view just before he falls to the ground. 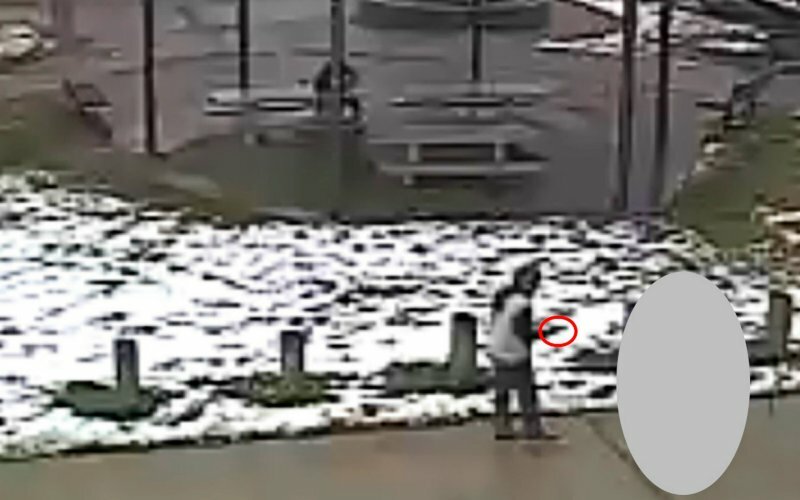 Remember-all this direction was apparently given, to Tamir Rice in the two seconds before his shooting: this means that, 1) police would have rolled up on the recreation park gazebo 2) rolled down the window 3) Loehmann then jumps out of the car and immediately gives three orders to drop the alleged gun three times. 4) Loehmann then jumps out of the car and immediately shoots Rice from a distance of less than 10 feet (3.0 m). This all would have had to happen in 2 seconds at superhuman speed! Not very realistic! The Rice family and Clevelanders have always said that they want the officers who rushed upon and killed 12-year-old Tamir held accountable. The family now believes that the prosecutor’s office has been on an 11-month quest to avoid providing that accountability. Any presentation to a grand jury—without the prosecutor advocating for Tamir—is a charade. To get so-called experts to assist in the whitewash—when the world has the video of what happened—is all the more alarming. We would ask that everyone possible look at this disturbing video and demand logical answers, as to why? Why did you shoot an innocent child who was playing in a park with a toy gun! Is report is propaganda, after reviewing the video, I would have to say, yes definitely! For Tamir Rice’s life- we have to change our condition and correct our broken system-and it has to happen, now not later! No more lies! This entry was posted in Civil Rights, Gregg L Greer, Human Rights, One World, oneworld, oneworld01, Uncategorized and tagged ChicagoViolence, Cleveland, Gregg L Greer, oneworld01, Police Brutality, Tamir Rice. For Immediate Release: Civil Rights Activist to Call for Chicago Officials to remove Superintendent McCarthy! 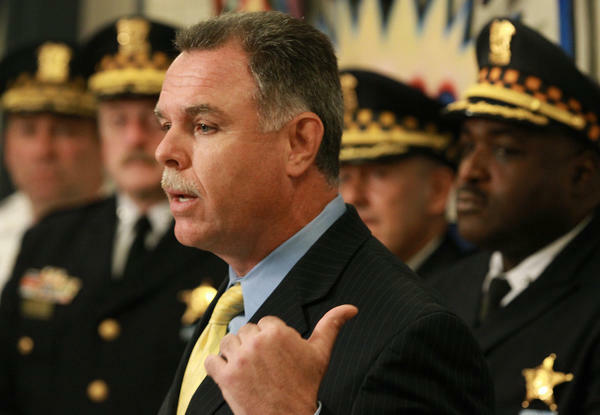 Civil Rights Activist to Call for Chicago Officials to remove Superintendent McCarthy! The request for changes are being made as Chicago continues to be hit hard by violence, with September posting the most homicides for that month in 13 years and the most killings for any month in 2015. Through Sept. 27, homicides and shooting incidents have risen 21 percent from the year-earlier period, official department numbers show. This entry was posted in Uncategorized and tagged Chicago Police, ChicagoViolence, Garry McCarthy, Gregg L Greer, greggLgreer, oneworld01, Police Brutality, Press Release.